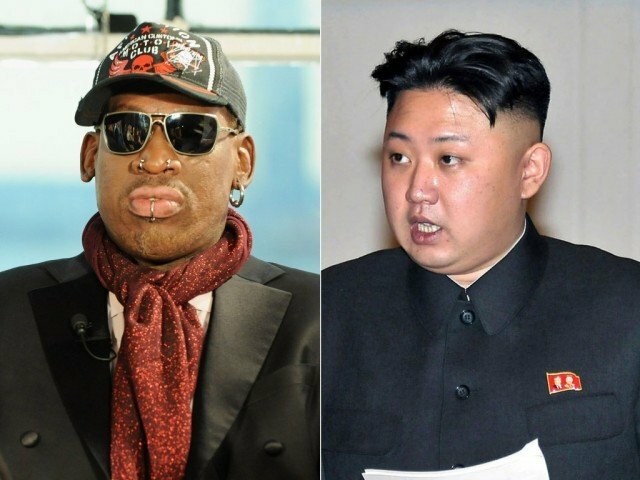 Dennis Rodman revealed he didn’t meet Kim Jong-un on his latest visit to North Korea, but he said that won’t stop him from coming back on the communist leader’s birthday next month to hold an exhibition game with other former NBA stars. On the night before he was due to leave Pyongyang, Dennis Rodman told The Associated Press that he had not yet had a meeting with Kim Jong-un. The former NBA star said that he didn’t expect to meet the leader every time he comes to North Korea, and that his current trip was for training North Korean basketball players who will take part in the match he is organizing for Kim Jong-un’s birthday on January 8th. “I’m not just coming over here to meet the leader,” Dennis Rodman said. Dennis Rodman’s visit comes just after the dramatic purge and execution of Kim Jong-un’s once-powerful uncle, which has sparked speculation among some foreign analysts over how stable Kim’s regime is. But officials here say that there is no instability and that Kim Jong-un remains firmly in control. The former basketball player wants to bring 12 former NBA stars to Pyongyang for the exhibition, but has acknowledged that some of the Americans have been reluctant to come. He has held tryouts for the North Korean team during his visit, which began Thursday. He has said he expects to announce the US roster soon, and that he is planning another game in June. Dennis Rodman and Kim Jong-un have struck up an unlikely friendship since the former NBA star traveled to North Korea for the first time in February with the Harlem Globetrotters for an HBO series produced by New York-based VICE television.